Do You Like Vintage Speed Equipment? Only 40 Vintage Catalog Box Sets Left! We only have 40 Vintage Catalog Box Sets left, and they’re now only $40! This best-selling package features reprints of 27 speed equipment catalogs exactly as they were printed more than half a century ago. That’s nearly 500 pages, now more affordable than ever. From Bell Auto Parts and Moon to Hurst and Isky, the Vintage Catalog Box Set covers all the bases. It’s an invaluable reference tool for anyone building an era correct hot rod or custom car and a must-have for any diehard enthusiast’s library. Quantities are limited; when they’re gone, they’re gone. These will not be reprinted. To order, click the red box above or give us a call at (800) 750-9550 in the United States, (877) 479-2627 in Canada or (650) 246-8920 internationally. P.S. Have you started Christmas shopping yet? 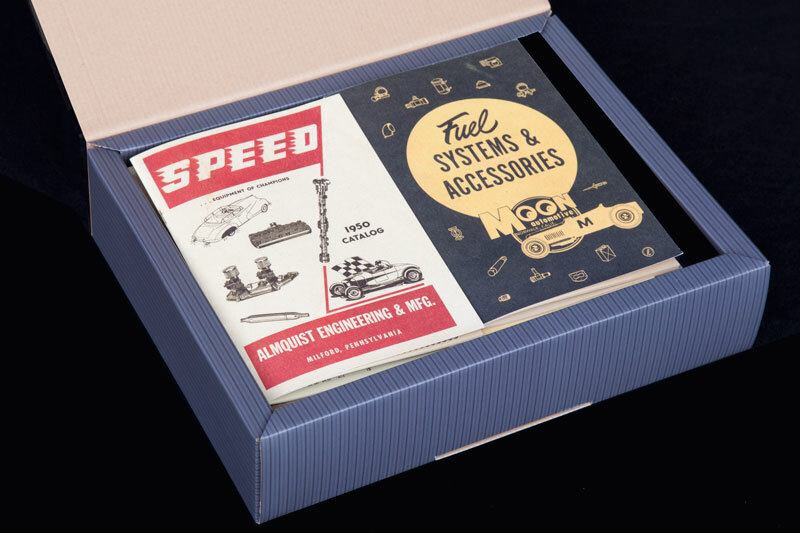 Vintage Catalog Box Sets make perfect gifts for hot rod and custom car fans—regardless of age! The 27 catalogs fit into this sturdy cardboard box for easy carrying and storage. 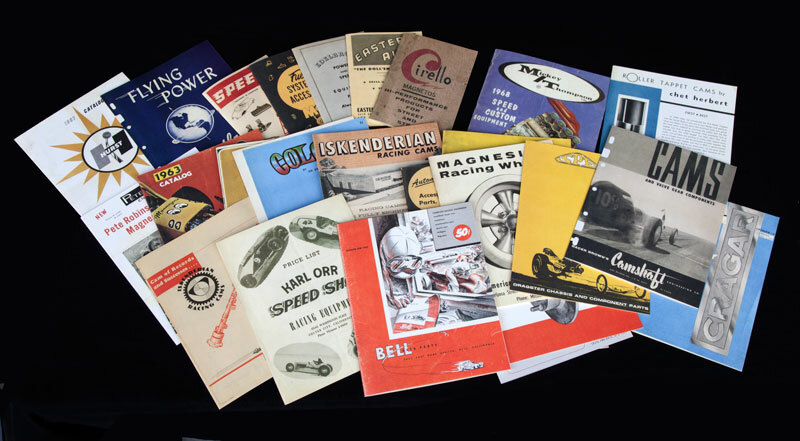 Here's a glimpse at all the rare catalogs from iconic speed merchants included in our Box Set.